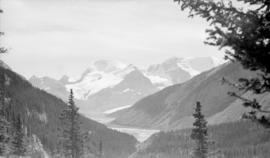 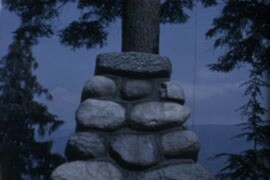 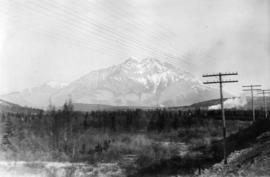 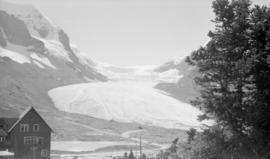 Item is a photograph showing a mountain scene. 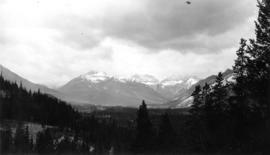 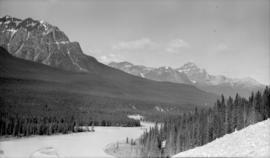 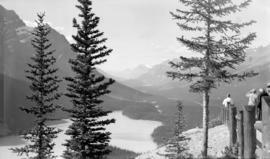 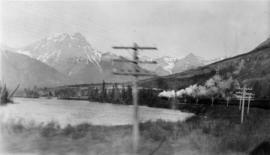 Possibly located on the Banff to Jasper highway. 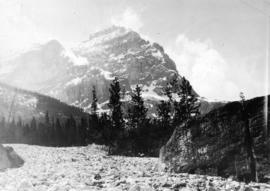 Item is a photograph showing a mountain scene. 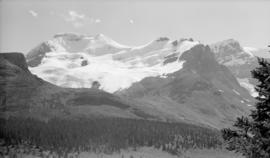 Possibly the Columbia Icefield.